It’s been a while since my last blog & a lot has gone on since last year, including job changes and family dilemmas. I’ve barely had 5 minutes to sit down and digest whats been going on and already we’re in the second month of a new year! Anyway, heres to another year of blogging, hopefully it’ll be a more consistent one! I’ve picked up a new hobby lately which is painting my nails! I’ve always had a thing or two for nails and polish, in fact my polish collection counts from 100+ bottles and still growing rapidly! Especially now with my new found passion for nail art lol! I’ll be creating a category on this blog just for nail art images, I’m a newbie with nails, so please forgive the amateur polish application! Hopefully practice makes perfect! 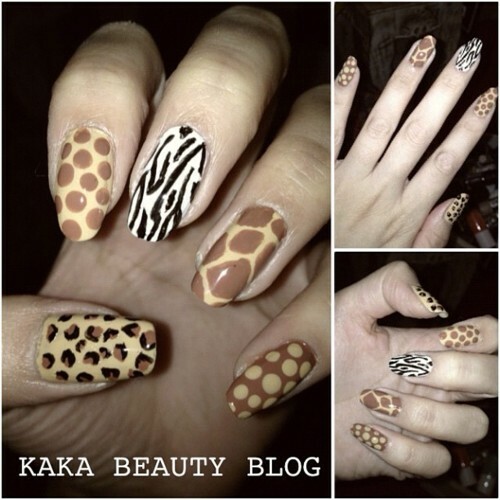 Tags: Animal Print, BARRY M, MODELS OWN, Nail Design, Nail Polish, Nailart, Nails, Nails Inc, Topshop, Wordpress. Bookmark the permalink. Previous post ← Happy Birthday GLAMOUR! Aww thanks! I’ve been obsessed with nails lately! lol!